One of the big jobs we wanted to do was to tidy up our PE equipment and do an audit of all of the resources we are lucky to have. We want to make sure these resources are readily available and hopefully they will be used as much as possible to promote PE in our school. This is the BEFORE picture where all the equipment was just thrown in a mess under the stairs. Some of the members of the committee will have the job of trying to keep the equipment tidy! We will be encouraging all students and teachers to try to keep the area tidy so when the committee members check it on a Friday afternoon it should only take them a minutes to clear it up. We have been lucky in the weather. So most of our classes have been outside in our new and improved school yard. Cormac our PE teacher is a very popular member of class. He is kind and funny and he is a brilliant PE teacher. We also do PE with our class teachers. Their jokes aren’t as funny as Cormac’s but they have some good ideas for PE. The game ‘Ship Sea Shore’ is a particular favourite at the moment. He gives us tips to improve our technique. Game: All the Fish in the Sea. Equipment needed: The children can sit on the floor or on chairs. Set up: Teachers sit in a circle facing outwards. 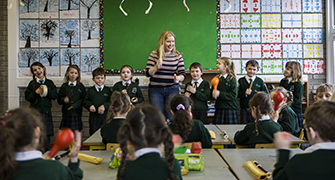 Teacher gives each child the name of a cod, mackerel or herring). How to play the game: The teacher calls the name of a fish (cod, mackerel or herring) and all the ‘living fish’ of that name stand up and run around the circle. (Or everyone who is still alive if the leader calls ‘all the fishes in the sea’.) When the teacher calls ‘change direction’ they must turn and run in the other direction. When teacher calls ‘calm sea’ they walk, when she calls ‘rough sea’ they run as fast as they can. They must then run to their places and sit down (all the time keeping to the same direction as they were already running). The last one back is ‘out’ and turns to face inwards. The last fish left ‘alive’ is the winner. Third Class, Room 14 learned three great yard games from Cormac today. They were fast moving, fun and exciting. We are lucky to have such a great coach. 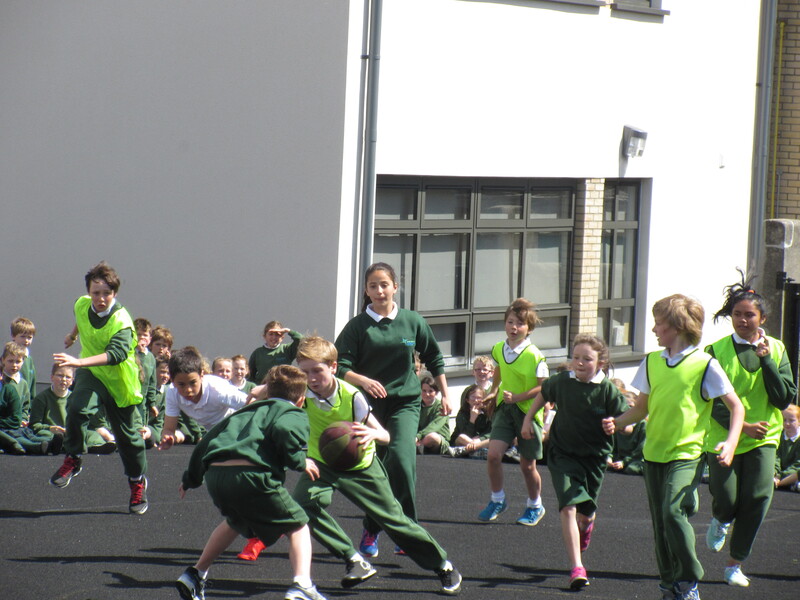 Ms. Donnelly’s 4th class had a great time playing tag rugby during their PE class last week. They organised everything themselves and they even took turns being the referee. PE is a high point of our week. On the slide show you will see us warming up, running round the basketball court. We are divided up into groups very quickly and efficiently. In these photos you can see that we had three stations to visit. There was ten minutes football, ten minutes hockey and ten minutes fitness. The fitness is the most challenging so we can take breaks when we do that. The time passes very quickly and very enjoyably. It’s September 2017 and all of the children have settled back in to their school routines. In the third week of September all the after school activities started back. We also had PE with Cormac. 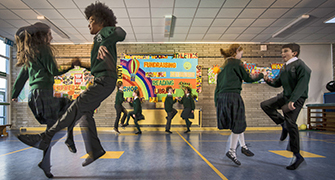 Cormac is now teaching PE on Thursdays and Fridays. All of the children, from junior infants up to 6th class love PE with Cormac. They have already done a variety of games, activities, etc. and the children can’t wait for the PE classes that lay ahead of them this year. Thanks Cormac. Sports Day is always a high point of the school year and this year was no different. The Junior students remained in the school and had a variety of fun and games that were enjoyed by all. At the end of the day each child wore their rosette with pride. 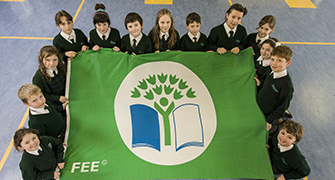 The students from 1st Class up went to Éire Óg who once again very generously allowed us use their facilities. We have plenty of competitive sports during the year. Sports Day is collaborative. Teams are made up of students from 1st class to 6th. Captains and vice captains selected from the senior classes shepherd their teams from activity to activity. Every twenty minutes the bell rings and students get to try out something new. This year there was soccer, an obstacle course, dodgeball, gaelic, tag rugby, hockey, a tug of war, target games, novelty fun, rounders, crab football, ultimate frisby, water games, art and yoga. This mix of activities ensure that students can pace themselves. A great time was had by all. Many, many thanks to Ms. Horan and Paula who co-ordinated the event and the wonderful parents who gave of their time and expertise. Last week from 15th June 2015 to Friday 19th was Bike Week in St. Brigid’s. There were three bikes in the bike stand on Friday 12th June. The following week there was sixty. 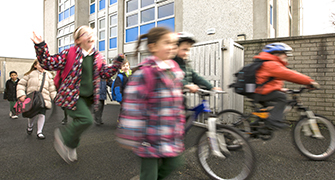 You will see from the slideshow that safety was observed; the children wore helmets and once they got to the school gates walked their bikes in the school grounds. The children were extra vigilant about wearing bicycle helmets as Stephen from Cycle Plus in Greystones had come in the previous week to talk to them about the importance of helmets. He donated two helmets for a raffle. The students made posters about the importance of being active on your bike and being safe. During Bicycle Week Stephen from Cycle Plus came back and talked to the students about care and maintenance of your bike. Bike Week is over … but we are delighted to see nearly thirty bicycles and scooters in the bike stands. Well done to everyone who is cycling or scooting to school and to the parents who are facilitating this. Every June the whole school takes part in Sports Day. This year our Sports Day was on 12th June and was a great success. 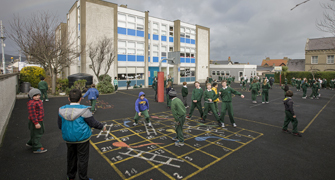 Junior Infants and Senior Infants stay in the school grounds and 1st to 6th Classes go to the Éire Óg grounds for the day. Lots of parents come to help the teachers on the day. There are 30 teams made up of children from 1st to 6th class and they are led by a 6th Class Captain. The Captain keeps a close eye on the younger kids in their group. Activities include Tug of War, Tag Rugby, Soccer, Hurling, Baseball, Frisbee, Water Sports, Art, Novelty Station, Obstacle Course and Throwing Sponges at Mr. Dodd! New stations are added each year. All of the teachers in the school run the different stations with the help of parents & volunteers from the different clubs. The parents play a big role on the day, helping with supervision, catering, road safety and much more. It is always a great day and a fun day and we go home very tired! The Annual Basketball League is a high point of the school year. Students from third class to sixth play in mixed teams captained by a member of sixth class. This exciting Basketball Final was followed by a prizegiving. Prizes were given for Best Player, Most Improved Player and a VIP in each class third to sixth. Prizes were also given to sixth class captains who had distinguished themselves by doing their job and encouraging the younger players so well. On Wednesday 3rd June, our representatives at the North Wicklow Sports returned with lots of medals having done the school proud. 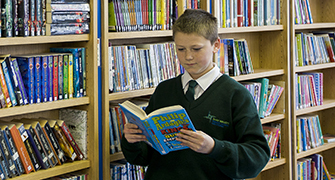 Take a look at our Active School Newsletter! Well done to the boys and girl who played in the Allianz Hurling League on October 1st. 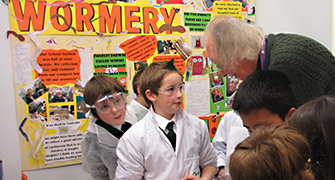 Our school’s team came first in the competition, winning a medal each and the trophy for the school. There were great hurling skills displayed and well done to all who took part! 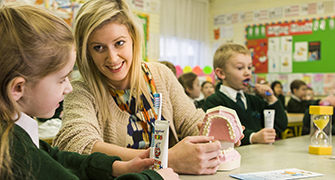 Special thanks to teacher Orlagh Donnelly who brought them to the competition. Gaelic takes place each week from 3 o’clock to 4 o’clock at the Éire Óg pitch in Greystones. It is for boys and girls from 3rd to 6th class. Every so often we play matches against other teams and every year the Coughlan Cup and the mini 7’s take place. 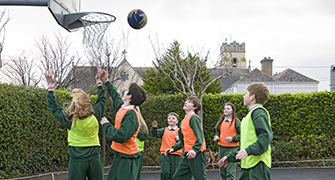 Basketball is on every day for boys and girls from 3rd to 6th class for an hour after school. Ms. Woodcock, Ms. Bracken and Ms. Kenny are the coaches. We usually do some drills for most of the lesson and sometimes we play a match at the end. There is a basketball league on during the summer term. 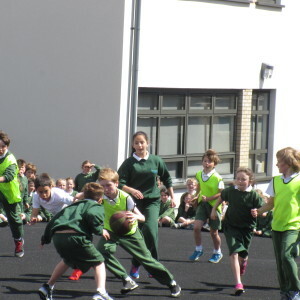 At the end of the year 6th class get to play the teachers. Everyone enjoys watching this game!! 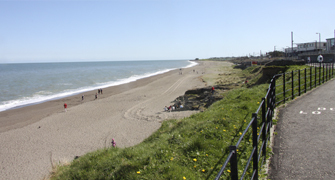 Hurling is on weekly from 3 o’clock to 4 o’clock at the Éire Óg pitches in Greystones. It is for boys and girls from 3rd class to 6th class. We usually start by hitting a sliotar around for a bit. Then we do warm ups and stretches and after that we split up into groups. We could use some more players! Anyone interested? Athletics is on every Thursday from 4 o’clock to 5 o’clock. Our coaches are very experienced. We learn how to do the shot put, long jump, high jump, 100 metre sprint and relay races. Boys and girls from 1st class to 6th class can do athletics. It’s so much fun and we encourage you to try it out. The parents organise swimming. 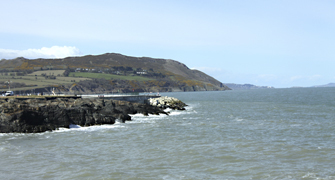 Classes are held in the Shoreline Facility in Greystones. Children are notified by letter when registration is taking place. Children from Fifth and Sixth can learn badminton on a Monday. Short tennis is on every Tuesday after school for boys and girls from 1st and 2nd class. 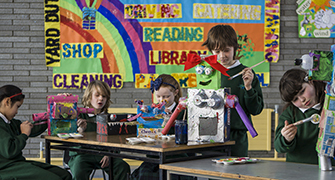 It is on in St. Killian’s Hall and Diane Cahill is the teacher.